the Soča river in Slovenia. 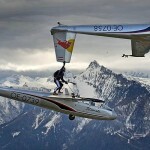 Congrats with this amazing stunt and coordination by team Red Bull. 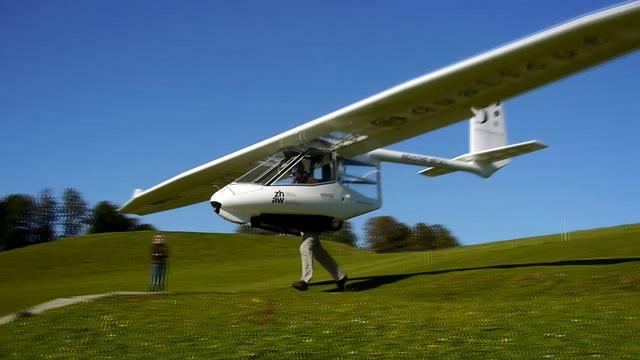 The Ruppert Archaeopteryx is a so called microlift glider. 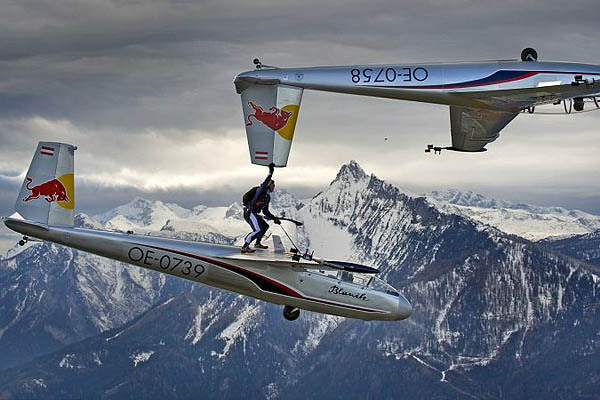 With only 54 kg, you can literally run from a hill with this carbon glider. Only 64.791,00 Euro to go.